1) Zuk PA, Zhu M, Ashjian P, et al. Human adipose tissue is a source of multipotent stem cells. Mol Biol Cell 13: 4279-4295, 2002. 2) Gimble JM, Katz AJ, Bunnell BA. 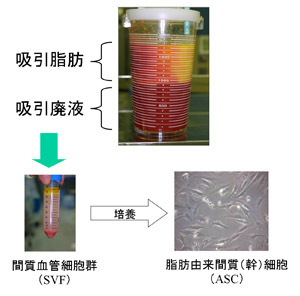 Adipose-derived stem cells for regenerative medicine. Circ Res 100: 1249-1260, 2007. 3) Matsumoto D, Sato K, Gonda K, et al. Cell-assisted lipotransfer: supportive use of human adipose-derived cells for soft tissue augmentation with lipoinjection. Tissue Eng 12: 3375-3382, 2006. 4) Yoshimura K, Shigeura T, Matsumoto D, et al. 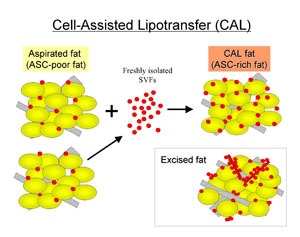 Characterization of Freshly Isolated and Cultured Cells Derived from the Fatty and Fluid Portions of Liposuction Aspirates. J Cell Physiol 208: 64-76, 2006..
5) Planat-Benard V, Silvestre JS, Cousin B, et al. Plasticity of human adipose lineage cells toward endothelial cells: physiological and therapeutic perspectives. Circulation 109: 656-663, 2004. 6) Kurita M, Matsumoto D, Shigeura T, et al. 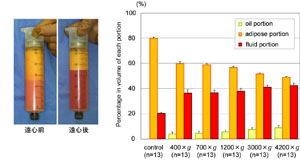 Influences of centrifugation on cells and tissues in liposuction aspirates: optimized centrifugation for lipotransfer and cell isolation. Plast Reconstr Surg, in press. 7) Shiffman MA. History of breast augmentation with fat. In Autologous fat transplantation (edited by Shiffman MA), Mercel Decker, Inc., New York, 2001, pp199-206. 8) Coleman SR, Saboeiro AP. Fat grafting to the breast revisited: safety and efficacy. Plast Reconstr Surg 119: 775-785, 2007. 9) Spear SL, Wilson HB, Lockwood MD. 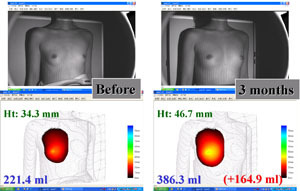 Fat injection to correct contour deformities in the reconstructed breast. Plast Reconstr Surg 116:1300-1305, 2005. 10) Moseley TA, Zhu M, Hedrick MH. Adipose-derived stem and progenitor cells as fillers in plastic and reconstructive surgery. Plast Reconstr Surg 118(3 Suppl): 121S-128S, 2006. 11) Spear SL, Newman MK. Discussion to “Fat grafting to the breast revisited: safety and efficacy”, Plast Reconstr Surg 119: 786-787, 2007. 12) Yoshimura K, Sato K, Aoi N, et al. Cell-Assisted Lipotransfer (CAL) for Cosmetic Breast Augmentation -Supportive Use of Adipose-derived Stem/Stromal Cells-. Aesthtic Plast Surg, in press. 13) Considine RV, Nyce MR, Morales LM, et al. Paracrine stimulation of preadipocyte-enriched cell cultures by mature adipocytes. 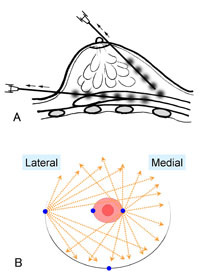 Am J Physiol 270: E895-899, 1996. 14) Miranville A, Heeschen C, Sengenes C, et al. 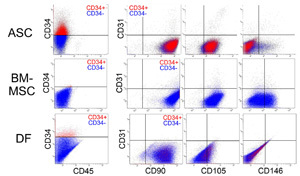 Improvement of postnatal neovascularization by human adipose tissue-derived stem cells. Circulation 110: 349-355, 2004. 15) Cao Y, Sun Z, Liao L, et al. Human adipose tissue-derived stem cells differentiate into endothelial cells in vitro and improve postnatal neovascularization in vivo. Biochem Biophys Res Commun 332: 370-379, 2005. 16) Rehman J, Traktuev D, Li J, et al. 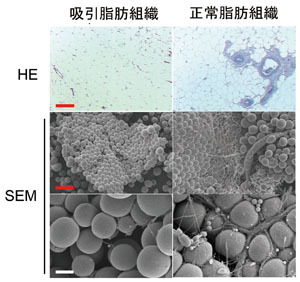 Secretion of angiogenic and antiapoptotic factors by human adipose stromal cells. Circulation 109, 1292-1298, 2004. 17) Strawford A, Antelo F, Christiansen M, et al. Adipose tissue triglyceride turnover, de novo lipogenesis, and cell proliferation in humans measured with 2H2O. Am J Physiol Endocrinol Metab 286, E577-588, 2004. 18) Masuda T, Furue M, Matsuda T. Novel strategy for soft tissue augmentation based on transplantation of fragmented omentum and preadipocytes. Tissue Eng 10: 1672-1683, 2004. 19) Matsumoto D, Shigeura T, Sato K, et al. 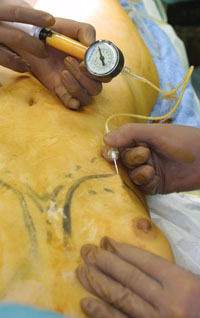 Influences of preservation at various temperatures on liposuction aspirates. Plast Reconstr Surg, in press. 20) Kaufman,MR, Miller TA, Huang C, et al. Autologous Fat Transfer for Facial Recontouring: Is There Science behind the Art? Plast Reconstr Surg 119: 2287-2296, 2007. 21) Zengin E, Chalajour F, Gehling UM, et al. Vascular wall resident progenitor cells: a source for postnatal vasculogenesis. Development 133, 1543-1551, 2006.